However, producing great content is difficult for most of us. Yes, including me. Blog posts take me at least two days to complete. So don’t worry if it is difficult for you to get started. You just need to start. 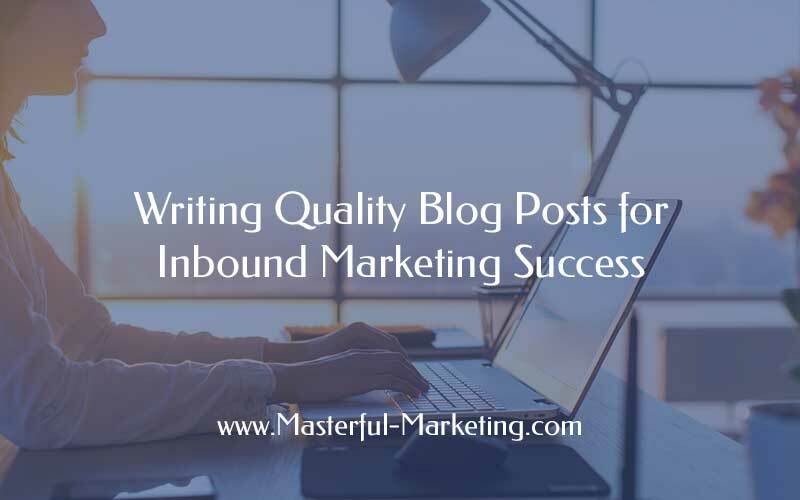 Writing quality content takes practice. If you are new to writing website and blog content, there are some beginner’s guides to help you get started. There are prolific writers, able to capture your attention, tell a story and keep you entertained, but unfortunately many of us are not. Is there a magic formula for creating audience attracting content? No, magic won’t help but this formula can point you in the right (or write) direction. First, I have to assume that you understand your target audience and what type of content they value. If not, don’t start writing your blog until you do. Dust off your marketing plan and make sure that it clearly answers the five online marketing strategy questions. Then focus on those topics that interest them the most. Now you have data that can guide your choice of topics. Create an editorial calendar for your content to keep you on track. Information is flowing at us at an extremely fast rate. Your post title is the best way to get the attention of your audience. Although not a simple exercise, writing a title that draws in your reader is the first step to gaining visibility. Spend some time working on a compelling title for your post. Introduction – The opening of your post, after the title, is the next area to draw in your reader. Use emotion, statistics, a famous quote, ask a question or tell a story. Supporting content – Write the rest of the post sentence by sentence, making sure there is relevance to the topic at hand. Make sure each sentence passes the “So What?” test as this will make sure each sentence adds to the value of the post and isn’t just fluff. Call to action – What do you want your audience to do? I usually like to encourage people to comment with “What do you think? Let us know in the comments below.” You can ask them to share the post on their favorite social platform or you can direct them, using related post plugins, to other posts on your blog. Feel free to add more areas to your outline if that helps. However, if you focus on title, introduction and call to action, the rest of the post should fall into place. Choose a visual that conveys what the post is about. A quality visual, whether it’s an image, video or infographic, can convey the post message more effectively than words. Plus people tend to share posts that have visuals. I know I’ve bypassed sharing posts because of a lack of an image. Once you have written the post, link to other posts that support your topic, both within your blog and externally. No sense repeating the content if there is another post that fills in the gaps. Linking gets noticed and encourages other blogs to link to you. Effective use of keywords in your writing makes your content more relevant to your target while helping search engines index the content. Take advantage of the WordPress SEO plugin to optimize your post around one keyword, which should be the focus of your post. It’s pretty obvious when people write a post and hit the publish button quickly. Reviewing and editing your post will help you ensure the content is clear, the writing is crisp and is free of mistakes. Write your post then let it sit. By taking a break from your content, you can review it with a fresh set of eyes. Read the article out loud. It’s amazing how many edits you will make when you hear the content rather than see it. Review for grammatical errors. Grammar can be tricky and if you’re not good at it, get someone who is to review the post for you. Eliminate typos. Typos will distract your readers and for many, will chase them away. Once you’ve completed these steps, go ahead, hit the publish button! Your post is ready. Is writing hard or easy for you? Let us know and post your ideas on how you produce quality blog posts in the comments below.